Join Veronica Tangiri of Prince William SWCD in monitoring this beautiful site of Hooes Run as it enters the Occoquan Reservior/River area. Chemical and biological data will be collected. Visitors parking lot and curb parking available. Contact Veronica for more information or to register. Join the Northern Virginia Soil and Water Conservation District (NVSWCD) as they discover aquatic life in Holmes Run! This official NVSWCD stream monitoring workshop covers watershed health, what macroinvertebrates tell us about stream quality, and what you can do to prevent pollution in your local stream. This workshop will also help to prepare you to become a certified stream monitor. Registration is limited. Send questions to Ashley Palmer and RSVP here. Join certified stream monitor Susan Demsko in her winter stream monitoring at her site at Hidden Pond Nature Center. Registration is limited. Contact Susan for more information or to register. Join the Northern Virginia Soil and Water Conservation District (NVSWCD) as they discover aquatic life in Little Difficult Run! 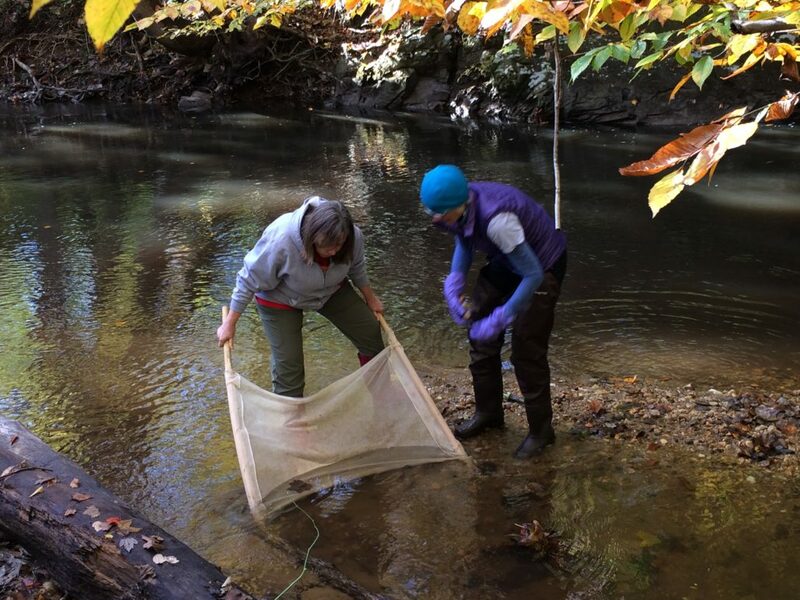 This official NVSWCD stream monitoring workshop covers watershed health, what macroinvertebrates tell us about stream quality, and what you can do to prevent pollution in your local stream. This workshop will also help to prepare you to become a certified stream monitor. Registration is limited. Send questions to Ashley Palmer and RSVP here. Join a certified stream monitor at this adopted stream to help make a difference in our environment. We will check on the health of one local stream in McLean. County and state officials will use the data you collect to assess the overall condition of our streams and help determine watershed management initiatives. Come learn more and help. Registration is limited. RSVP to Elizabeth Winston. Join certified stream monitor Valerie Bertha in her winter stream monitoring at her site in Holmes Run. Registration is limited. Contact Valerie for more information or to register. Join Friends of Accotink Creek volunteers as they assess ecological conditions in a stream, based on the presence and absence of bottom-dwelling invertebrates. Meet at the parking lot behind Lake Accotink Park Administrative Building. See additional stream monitoring information on the Friends of Accotink Creek website. Join the Northern Virginia Soil and Water Conservation District (NVSWCD) as they discover aquatic life in Cub Run! This official NVSWCD stream monitoring workshop covers watershed health, what macroinvertebrates tell us about stream quality, and what you can do to prevent pollution in your local stream. This workshop will also help to prepare you to become a certified stream monitor. Registration is limited. Send questions to Ashley Palmer and RSVP here. Join Veronica Tangiri of the Prince William Soil and Water Conservation District for citizen science monitoring. Come and learn more about the health of this stream and how it interacts with agriculture as it joins the Occoquan River. Contact Veronica for more information or to register.